Every year Valentine's Day comes around and I'm like, do I want to post about it this time? A couple of years ago I was feeling feisty, and wrote about how being single on Valentine's Day is "chill as hell." Then last year I put together a little gift guide that was just basically cool stuff to wear, drink and read that were shades of burgundy, red and pink. Oh, and one of my favorite posts ever was from 2016 too, The Drake Guide to Dating! This year I'm in an even more "meh" mood about Valentine's Day than usual. However, I'd hate to leave you guys hanging, because I know you totally rely on me to keep you emotionally stable on this day... Right? Right. This year, I'm keeping it light and boozy—literally. Below I've outlined my best suggestions for what to drink on Valentine's Day, whether you're out at a bar with friends, on a date with your lover or at home watching the Olympics. The thread that binds them all together? All five drinks are a shade of red or pink. You're welcome, bozos! Like I said, champagne (and all sparkling wines) on their own are a cheesy move on Valentine's Day. However, mixing said bubbles into a cocktail? That, I can support. 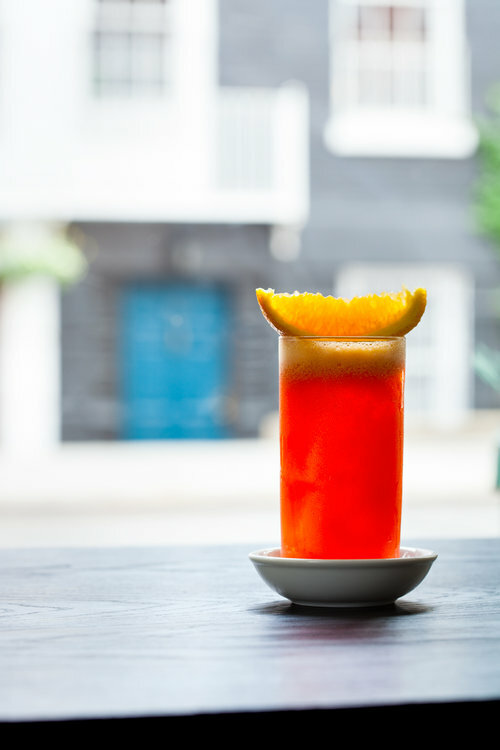 If you're looking for something a little more bitter and festive than a traditional Aperol Spritz, try this drink recipe I found via GQ. The Negroni 'Sbagliato' substitutes the original recipe's gin for dry prosecco. The result is fizzy, festive and one of those drinks that both guys and girls will enjoy equally. (If you like the taste of Campari, that is.) 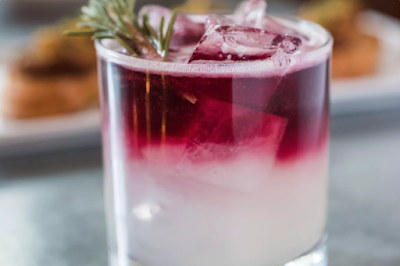 To me, this is the perfect at-home cocktail to whip up if you (or you and your lover) are planning a low-key Valentine's night that involves high-key devotion to watching the Olympics on your couch. My friend had her post-wedding brunch at Dante this past September, and in my hazy, slightly hungover state, I couldn't handle the idea of a proper cocktail. So instead, I tried their softer-but-still-alcoholic option, the Garibaldi—a mix of "fluffy" orange juice and Campari. (More Campari? Yes. I'm obsessed right now, and I want you to be, also. Sorry, not sorry.) This is a great option if you're in the mood for a morning celebration today, or will be celebrating over homemade brunch this weekend. You can find the recipe to make your own at home right here. Okay so a disclosure here: I am not sure exactly what the recipe for this cocktail would look like, but the list of ingredients sounds absolutely delightful, and I have faith that we could figure it for ourselves out at home. There's a picture above, which maybe helps? This restaurant, Bar Cotto in Seattle, got a raving 9.4 review from The Infatuation, and their list of "musts" includes Twilight in Parma, a cocktail composed of gin, lime, lambrusco and rosemary. Whoa, right? From what I can tell you should mix the lime juice and gin to taste and pour in a double old fashioned glass over ice, then top with a lambrusco float, garnishing with rosemary. This sounds so heavenly, no? Some of you might just be like, Taylor these drinks all sound complicated or bitter or like, strange. And you know what? I hear you. I don't think you're giving me, these drinks or your taste level a fair shot—but okay. And to you people, I present a gift. The gift is my current favorite red, from my favorite people over at 90+ Cellars. Their reserve Pinot Noir ($20) is so freaking good. It's rich and smooth and tastes far more expensive than the price tag, and doesn't have that sort of lame "I'm a light wine!" vibe you get from so many inexpensive bottles of Pinot Noir. Oh also, they put a cute label on it for the holiday, which I find incredibly endearing. Now go forth and drink in this silly, silly holiday.